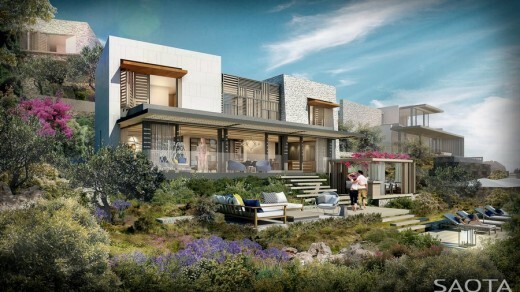 This Turkish residential project has been planned for a lush peninsula with a flora of wild olive and daphne bushes. The inspiration for the project comes from the relationship between the peninsula and the planned buildings. The aim of the relationship is to have the buildings closely shaped and placed according to the topography and while doing so have the look and the feeling of a weightless mass, tangent to the earth and ready to fly away. 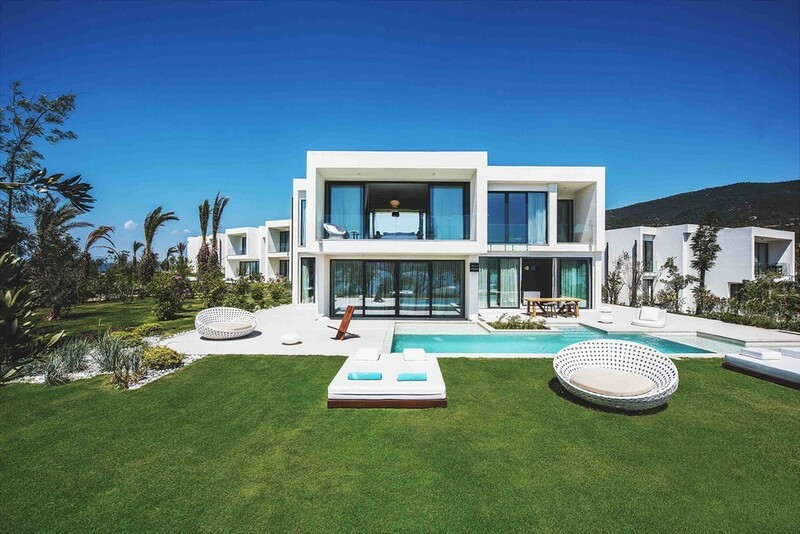 All of the buildings have been designed in accordance with the topographic properties of the land and on different levels so they do not intercept with each other and all of them have an exclusive view of the sea for the residents. 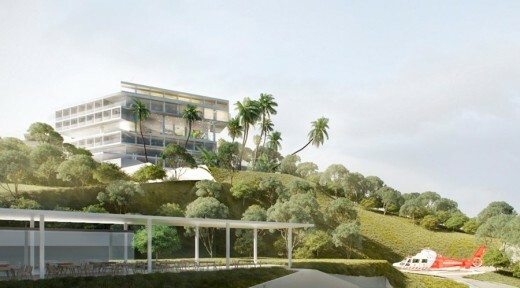 The 4 apartments in the residence blocks are designed to have secluded outdoor spaces as if they were detached houses. Since the hotel is the biggest and tallest building in the area, the inspiration of the ready-to-fly and massless buildings is the most pronounced quality to it to emphasize our idea. The 7 storey building has a transparent storey in the middle of it to lessen its mass. This transparent storey has the lobby and a bar in it to welcome the resident with the view of the sea upon entering the building. The private house is placed on a remote and rocky part of the peninsula. The concept has been determined according to the design language used earlier on the project. The relationship of the house with the rocky topography around it has the feeling that the house is ready to fly away and is massless. The building, starts near a 3 meter high and 100 m2 base rock, and wraps around it as the design ends over the rock. With this design, the building has parts of the rock as a natural decor element through the living room and some of the rooms. The functions provided in the Milas Daphne project are built to support each other and to strive. The hotel in the complex will serve the residents. 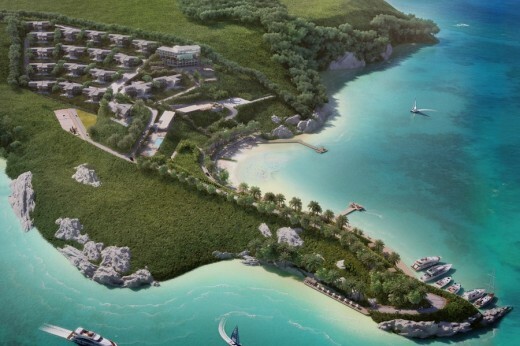 Even though the small hotel has 60 rooms capacity, it will have access to the recreational complexes and the shoreline, so it will have the resources of a big resort. The aim in this multi purpose living area is to provide the utmost comfort of its tenants. 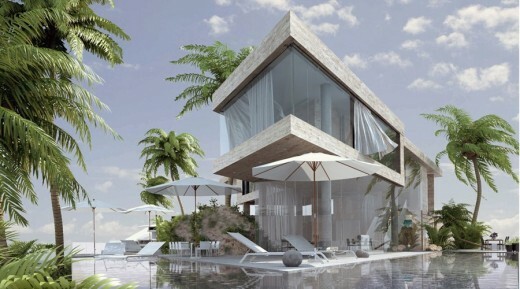 The project is planned on a peninsula on the shoreline in Milas, Mugla, Turkey.. 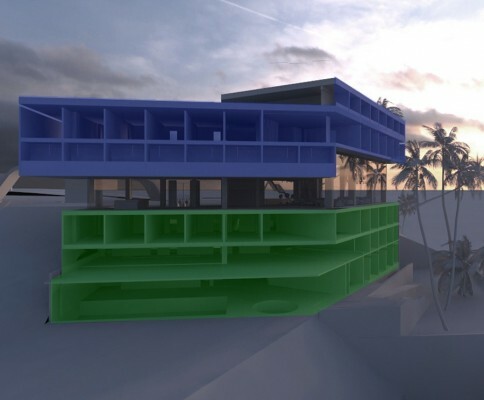 The material used in the buildings will be local and sustainable materials, which are compatible with nature. The exterior of the building will be coated with rocks excavated from the construction site. As a design element, the existing rocks will be used in landscaping. Milas Daphne Mixed Use project will be established on an approximately 80000 square meter peninsula. 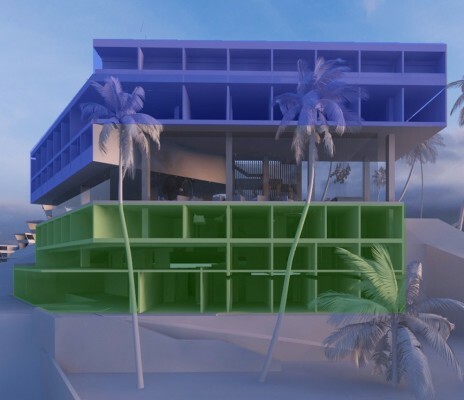 There will be 18 residence blocks consisting 4 apartments each, one 550 square meter private villa, one 60 room 4800 square meter hotel, totally 2600 square meter open sports area that includes one tennis court, one basketball court, a playground, a golf course, 600 meter coast line, 2500 meter walking track, a beach club, restaurants and a small yacht marina in this living area. The flora and the topography of the peninsula have been put into consideration. As a result of the research on the landmark, the different elevations of the buildings have been determined. Thus, it has been realized that the residents are able to have uninterrupted views. Also, the existing flora has been kept intact. And, the existing rocks is kept as a landscaping and building material. It is used as the building materials of the base storeys in order to merge the buildings to the land. 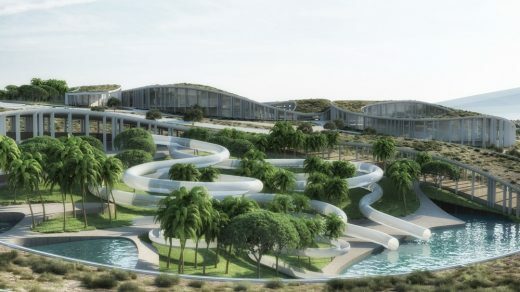 The project was developed with consulting topographical engineers to have buildings in accordance with the aim of the land and to reserve the existing flora and the rocks. PIRIL KUGU ARCHITECTS is an innovative architecture and design research studio founded by PIRIL KUGU ISCAN GURCAGLAR in 2013. Since its establishment, PIRIL KUGU ARCHITECTS has designed various functions projects like mixed use, hospitals, office buildings, hotels, houses. PIRIL KUGU ARCHITECTS specialises in architecture and interior design projects together with providing assistance for planning applications. The firm continues its practice at the office in Istanbul, Turkey. 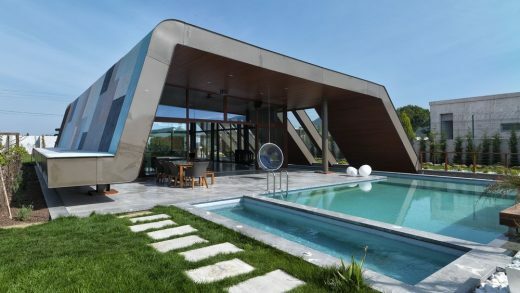 Mila’s Daphne Peninsula Mixed Use by Piril Kugu Iscan Gurcaglar is Winner in Architecture, Building and Structure Design Category, 2014 – 2015.